A small medical table sits in a room waiting with a bucket of warm water next to it. It has been a long day and prayers have been said for the last crying baby. A little tidying up has also taken place. Discarded casts lay in a bin, awaiting disposal. Everything seems to be done, but the physiotherapist awaits one more person. A couple more minutes go by with no one in sight. Then, from across the road, a figure approaches walking with a sturdy limp. There is movement as the physio tech shifts from his sleeping position into an upright one, making sure there is enough clean water in the basin, and that the machine is ready to tear off casts. The figure finally arrives; an old woman with a toddler on her back. She takes a deep sigh and settles on a bench, unwrapping the toddler and putting her on her lap. The old woman has well-worn sneakers on her feet, proof of the long journeys that she has experienced. It is only at second glance you notice that her left leg is a prosthetic. After a successful cast change for the toddler, they are led into the counselor’s office. A woman named Anna, who has been with the woman for the last few weeks, tells us about Abiya. 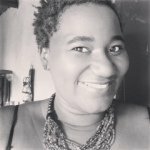 “She comes from a village outside of Salima, and she has difficulties finding transport to come to the clinic, but she understands its importance.” Anna said to us through rushed introductions. 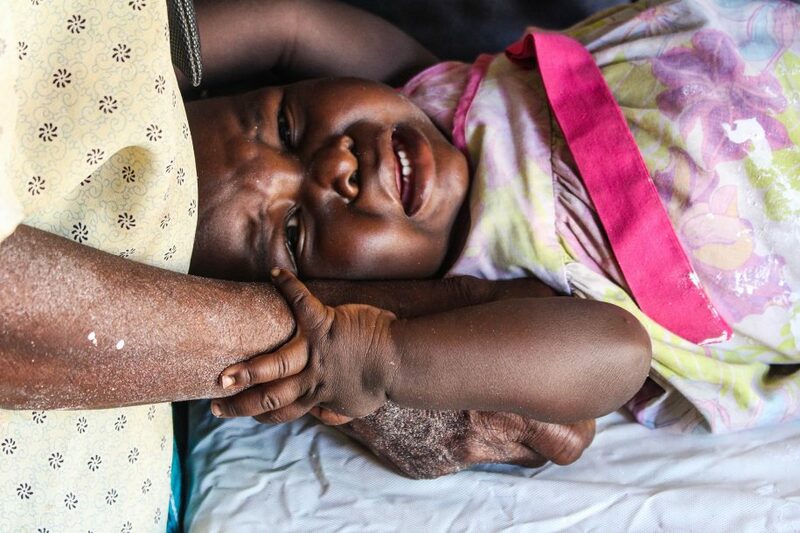 Grandma Abiya is single-handedly raising Miracle, a baby who lost both her parents at a very tender age. Grandma said that it would have been easier if Miracle had a father to help take care of her. When asked what the darkness was, she explained that he fell victim to alcoholism. “He drunk himself to death. He drunk spirits on an empty stomach and that is what killed him,” said Grandma. She looked down at the calm toddler sitting on her lap, as though she had been transported to another place and time. We see deep lines forming on her forehead and she takes a deep breath, slowly cradling the baby closer to her chest. When asked what happened to her leg, she smiled. When asked what year she lost her leg, she shrugged her shoulders. She laughed at her own answer, displaying a radiant smile that made everyone in the room smile with her. Bakili Muluzi was once president of Malawi and she said his name with pride. 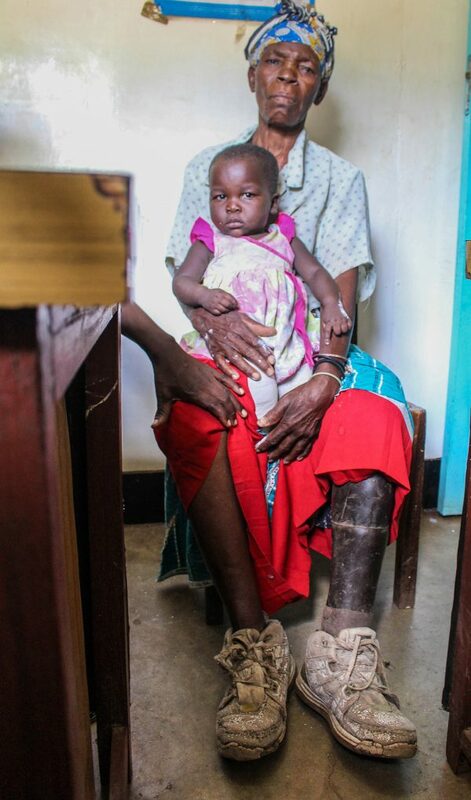 Miracle was born with bilateral clubfoot and this was her seventh cast change. She recently had a successful tenotomy, and she received a score of “zero” on her exam, which in the world of clubfoot treatment is a very good thing. 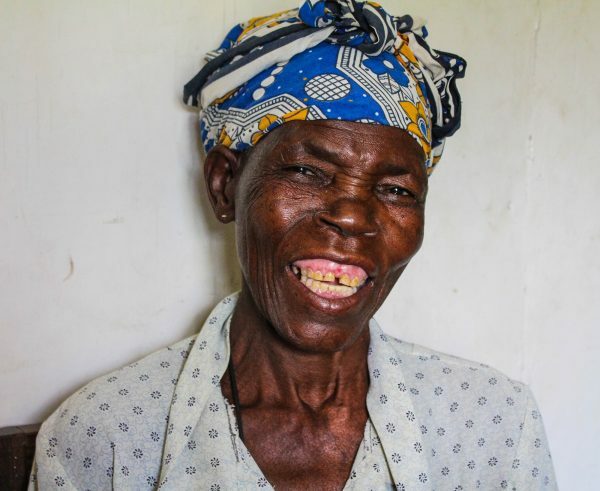 Grandma Abiya has had her share of struggles over the last few years—the hardest being losing her child and having to care for nine children. The oldest is in the 9th grade. Bringing Miracle for treatment consecutively every week has not been easy, but it is a task she is determined to complete so that Miracle may go to school and escape living a lifetime with clubfoot. 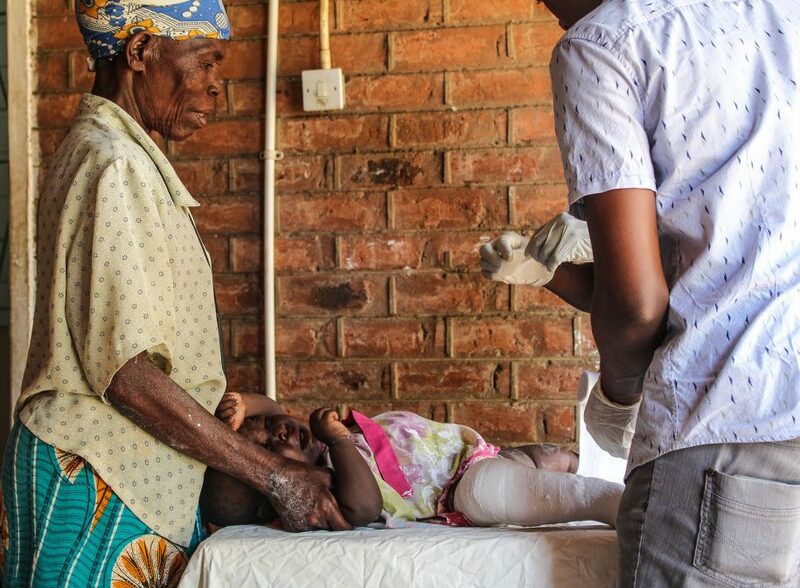 The Malawi Organisation for the Disabled is in partnership with CURE Clubfoot. They provide one-way fare for guardians and children to get home safe, something for which each person is grateful. Out of curiosity, we asked grandma how she manages to keep her head above water. “It is God,” she said while looking at her grandchild holding her hands. Grandma Abiya then stood up and placed her hands on Miracle. A prayer was then said for protection for the child and to bless the life of the grandma.